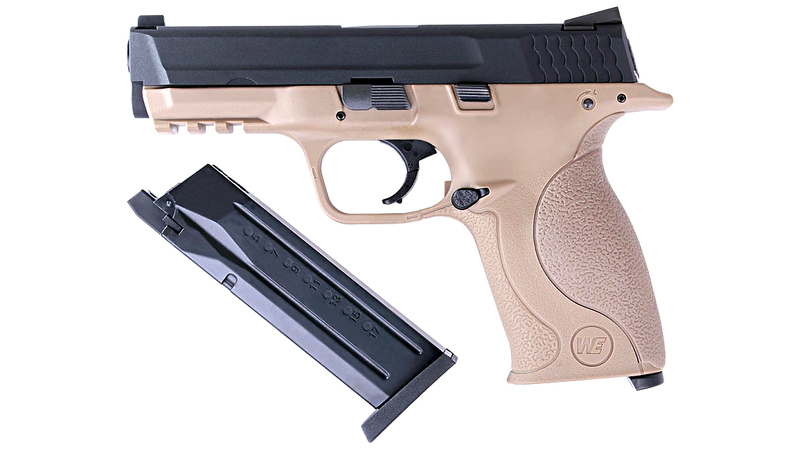 News of a gas blow back M&P version came at the 2012 Shizuoka Hobby Show, where airsoft manufacturer Tokyo Marui displayed a mock-up of the handgun. 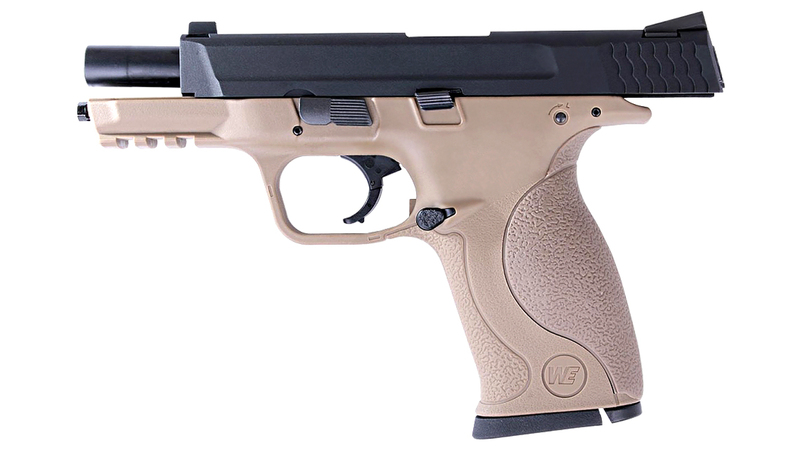 It now appears that WE-Tech will be the first to release a gas blow back M&P style as their model. 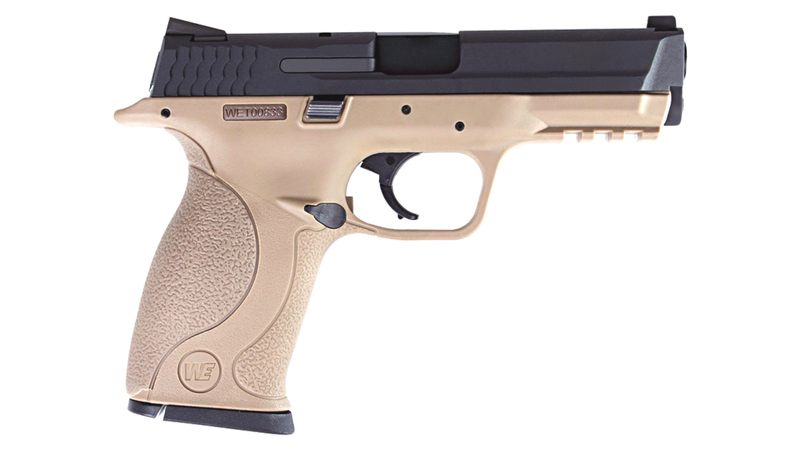 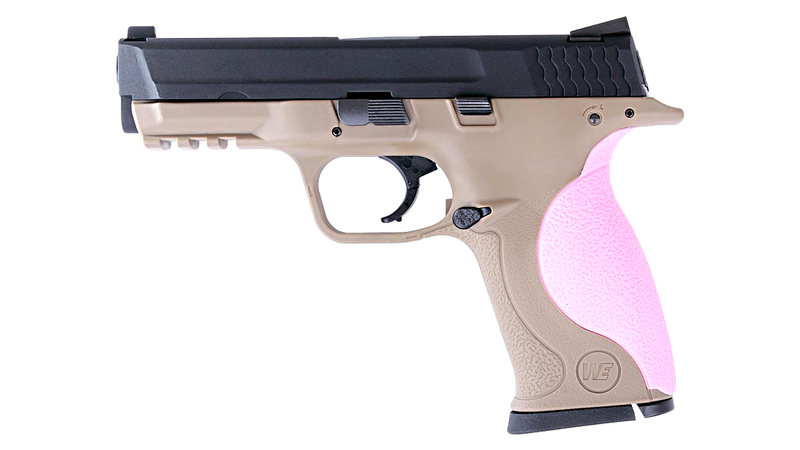 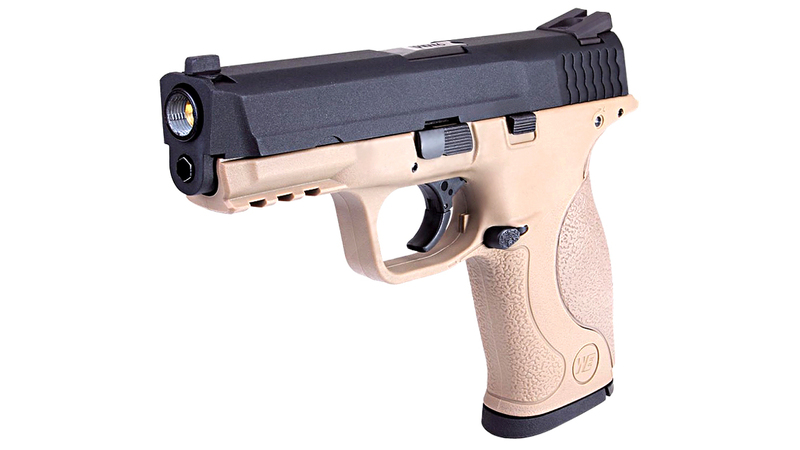 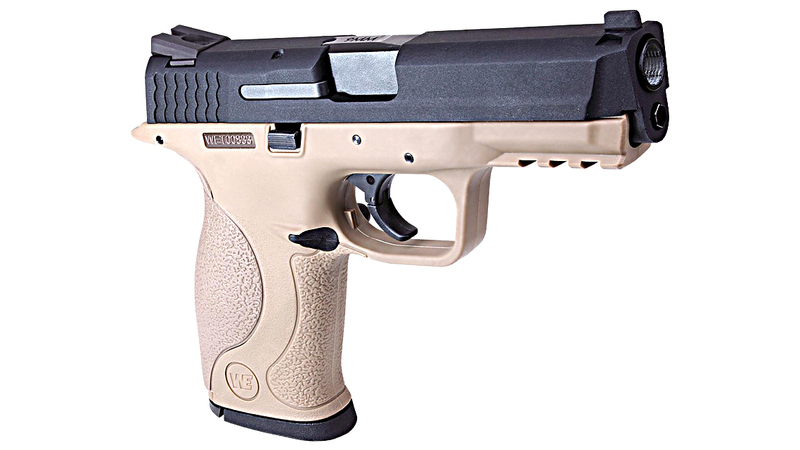 The WE M&P features a metal slide, polymer frame, slide release and slide catch lever, a textured grip, and three different sized backstraps( PINK and Black), it provides really nice gripping even for big hands. 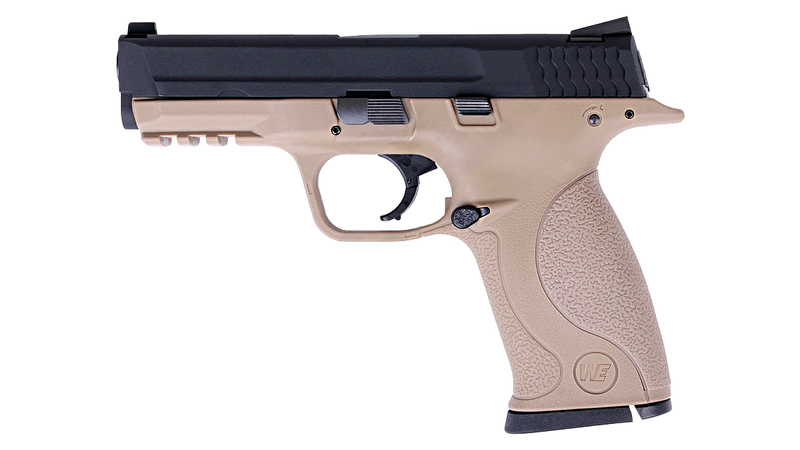 Complete with a unique serial number.